Aaron, Mark and Martin go in-depth as they explore romance in Alain Resnais’ debut film, Hiroshima Mon Amour. We look at how the sensuality and romance speaks to the tragic events and horrors of the atomic age, while they explore each other’s cultures through a brief relationship. 0:00 – Intro, Shout-Outs, Letterboxd Discussion. Rome: Open City Coming to iTunes. Paul Thomas Anderson’s newest will debut on @mubi after its New York Film Festival premiere. Carlotta Films Box Set for Rivette’s OUT1. The Sonic Landscapes of The Man Who Fell to Earth. Posted on September 27, 2015, in Criterions, Film, Podcast. Bookmark the permalink. 12 Comments. Great stuff ! Looking forward to watch it! Saved all the September and maybe first October releases for the flash sale so I can get $50 plus the extra $10 credit Criterion gave their fans today! Sweet! Nice! I am hoping this means the flash sale is imminent. ” If you’ve already linked your Facebook profile, your $10 will be in your Criterion.com account shortly. It’s yours to use on posters, T-shirts, tote bags—or, of course, Blu-rays and DVDs! Oh, I read every word. 😉 next week you think? Yeah, if not this Thursday ( it was Tue last 10/1/2013 ) then next week ( it was Thu last 10/9/2014) before the 10/15/2015 announcement. I watched this last week for the first time and was underwhelmed given my expectations. I thought everything about the film (editing, actors, dialogue) was beautiful. But, I watched late at night as Mark recommended to not do and it felt like a chore to endure. After listening to the podcast I didn’t feel like I missed any of the themes, but definitely scratched the surface of what others seem to get out of the film. I’m going to watch the supplements and take in another viewing (mid-day) in a few weeks. Another excellent podcast. And, I like the suggestion to ask each guest to discuss their Criterion collecting habits. Antoine, it is a challenging and deep film, and I could see how you would find it a chore. I feel that way to a degree about Marienbad, but this was my type of film. I cannot speak for others, but for me, part of my love for this film is based on the history and what a provocative statement this was. Keeping in the same vein of adulterous relationships I watched Brief Encounter last night. I’m finding that I am not very sympathetic to characters who differ from what I find morally right or wrong. Especially dealing with family or real life dilemmas. The more fictionalized the more I can passively watch. But, when you are putting yourself into the characters’ shoes the morality of a topic seems to really sway my opinion. I have found that the most interesting thing in watching Criterions is listening/reading the thoughts of others. What makes one person connect to a film and another doesn’t? Always fascinating to consider how life experiences play a role in our likes and dislikes. You make some great points and I’ve been ruminating on them most of the day. I actually love Brief Encounter and Hiroshima Mon Amour, yet I’m with you that the actions of the characters are reprehensible. If in their shoes, of course my opinion would change drastically. For me, I’m actually taking this in another direction, that it’s more impressive that I can become fond of a film that compromises my own moral compass. That said, adultery exists, as does mistakes with people marrying the wrong person — which is probably the case in both examples. I don’t really have an answer, but it is a thought provoking point of view. On a sort of related note, sort of not (this is based on something I saw in a film forum today), I dislike when people make sweeping statements about film. It really is subjective and it is art. 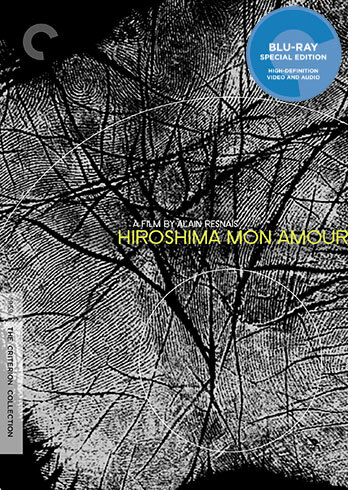 Even though it is fun to discuss, evaluate and compare, there is no absolute authority on what is “best.” One person’s masterpiece (like Hiroshima Mon Amour) won’t connect with another, and that’s perfectly fine. Perception and what leads one to see something a certain way is fascinating. In going through these films I’m interested in what connects with me and what does not. Maybe even more surprising to me was my reaction to a film like Ikiru a couple of months back. It was not a moral contradiction like Hiroshima or Brief Encounter, but a contradiction nonetheless. Loved the film and everything Kurosawa does. However, I could not completely relate to the story because the father does not confide to his son on his illness. Family is everything in my life so this was so confounding to me that it was a hindrance in completely loving the film. I also deal with bureaucracy daily so the entire wake scene did not resonate as much with me as others because of my cynicism to gov’t agencies. Ikiru became maybe an 8.5/10 vs. 9 or 10/10. Compare that to Tokyo Story which I had seen a few weeks prior and I connected more because it was about family. There were faults within the family, but it was a genuine story about relationships between kids and parents. It made me consider how my own 4 kids view our relationship now and imagining 40 years from now. It is a different film than Ikiru, but the family aspect was the difference in my perception of the films. I’m not going to say much about IKIRU because we may cast it someday, but I do agree that the wake scene didn’t work as well.